Everything we hear and see in our home audio video systems starts as AC power. The better the quality of that power, the better what we hear and see is. Power Ports are high-end AC receptacles no serious music or video system should be without. Easy to install. 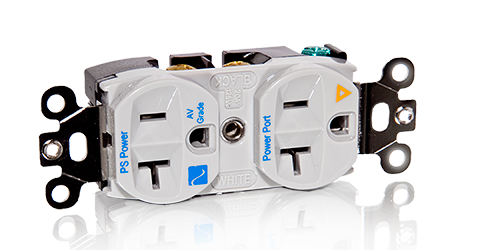 The Power Port Classic is our AV Grade high-end AC receptacle that is the starting point for any properly built system. By installing the Power Port AC receptacle in your room you gain an immediate improvement in performance over a standard wall receptacle. The Power Port is a custom built, AV Grade isolated ground receptacle that will ensure a life-long level of excellence. 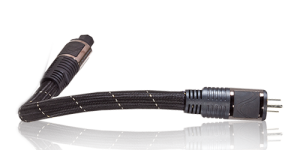 The Power Port exceeds hospital grade standards for grip strength, contact resistance and current delivery. 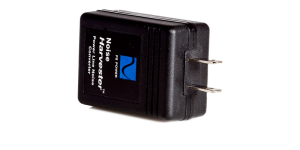 Easy to install in your wall, this is one component you need in your listening room as it will help make an immediate improvement. 15 coats of polished nickel over high-purity copper, with the “grip of Mickey Mantle” and polished nickel plated hardware, this is a must have in your system. "All the AC receptacles in my home that feed hi-fi components have now been changed over to PS Audio Power Ports."